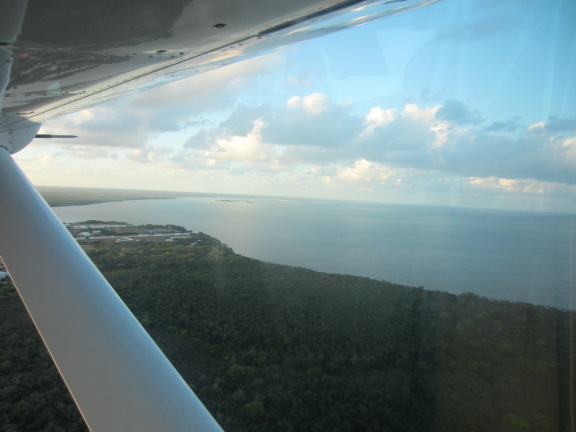 Home » Belize Travel Blog » Island Fun » A Recent Traveler Answers the Question: WHY BELIZE? 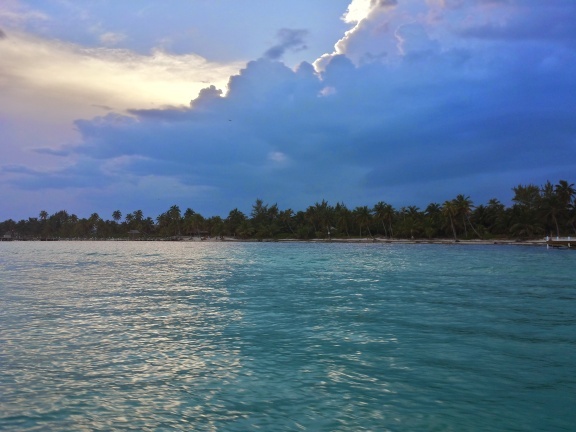 A Recent Traveler Answers the Question: WHY BELIZE? About a month ago when I planned this trip to visit my uber cute nephews in Rhode Island (greetings from Wayland Square Starbucks! ), I knew I was going to need some help. 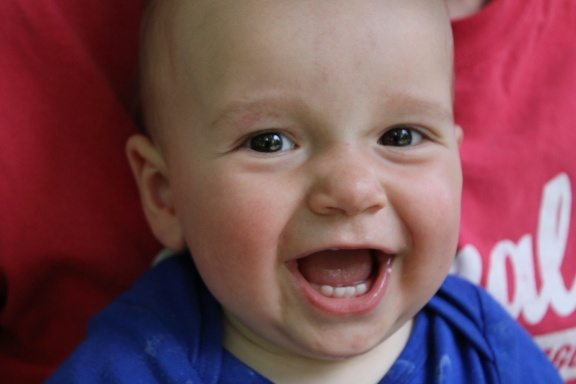 Thank you SO much to everyone that sent me a guest post. 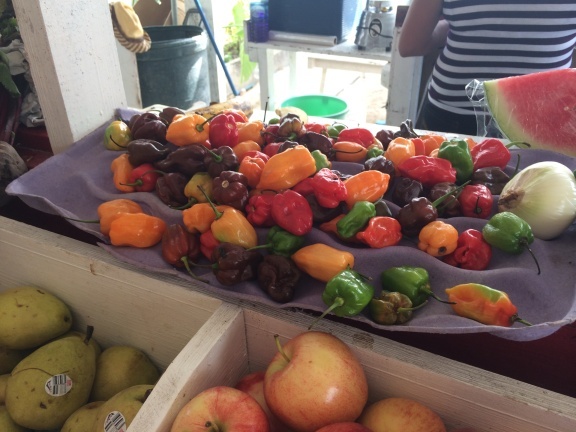 Thanks Jennie for this post – for writing about why she chose Belize to vacation in Belize. I snagged a short bio from her Twitter profile @SheLikesPurple. Wife. Mom. Book marketer by day. Sparkling wine enthusiast & laundry ignorer by night. Avid traveler by allotted vacation time. Check out Jennie’s blog: SheLikesPurple.com. It’s good. One of the things I heard most after telling people that Mike (my husband) and I vacationed in Belize this past March was, “Belize? Where is that?” To be fair, I didn’t know where it was before Mike suggested we go. Now that we’re back, though, with 9 days in paradise under our belts, I tell everyone who will listen to go to Belize. And here’s why. Well, let’s start with the best reason. This water. 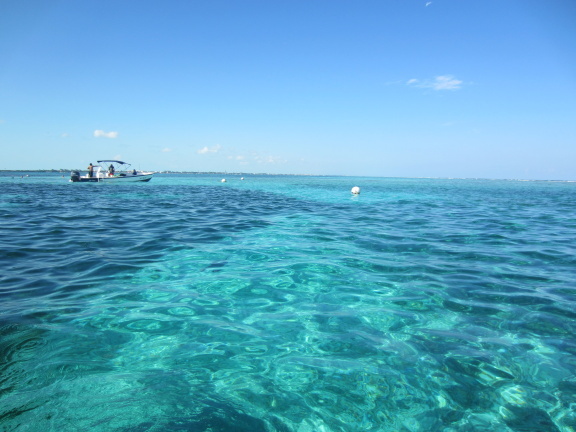 I’ve simply never seen water as blue or as beautiful or as calm as in Belize, and that has a lot to do with the reef that’s off the coast of the country. I’d suggest you visit as soon as you possibly can for the water alone, but this place has so much more going for it. Such as plain and simple logistics. To many, Belize sounds exotic and half a world away, but our flight to Belize was a non-stop, 2.5 hour flight. (We live in Texas.) We left at noon and arrived before dinner. It takes longer (for us) to fly to California than to Belize. When we honeymooned in St. John, we left before the sunrise, stopped in Miami, stopped in Puerto Rico, landed in St. Thomas, rented a car, took the ferry to St. John, drove across the island, and finally got to our rental house twelve hours after our early morning flight. That’s an entire day lost to travel. In that same vein, nearly every place we visited accepted American dollars. 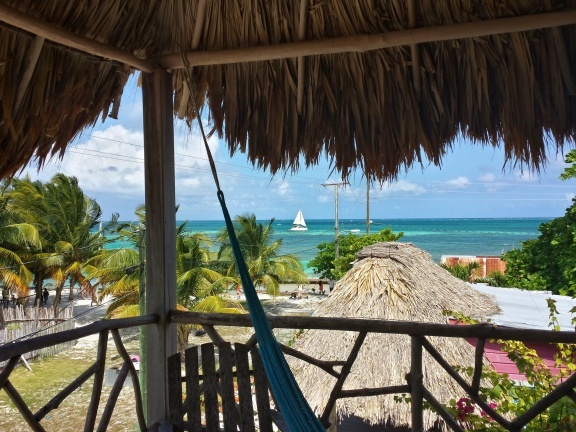 Again, not necessary, but if you’re searching for an absolutely breathtaking place that also offers conveniences of home, Belize is it. Everything was good. I could seriously use some fish tacos from Palapa right this second, in fact. Let’s talk about the snorkeling, too, because while I enjoy snorkeling, I also enjoy sitting at hotel bars and the former has to be really good to pull me away from the latter. And, wow. Belize. Your snorkeling does not disappoint. I’ve simply never seen the variety of fish that I did in Belize. Sea turtles swimming by the boat! Giant rays floating beside me! Sharks at Shark Ray Alley! 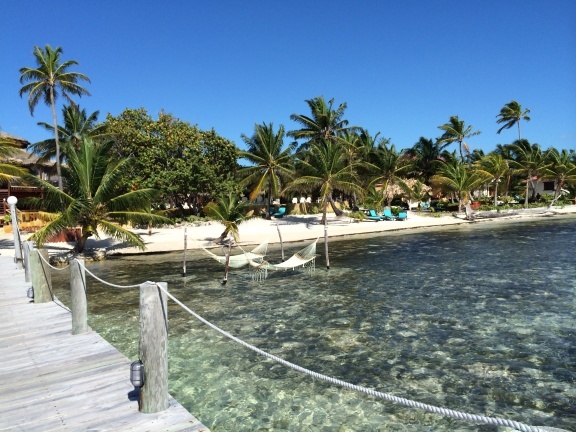 So, if you’re looking for an incredible beach destination, possibly with some ease and convenience that other island destinations don’t have, some of the best food and snorkeling, Belize should be climbing your must-visit list. Not enough though? Take a look at the water again. We ate at Jambel Jerk Pit for the wednesday night buffet. It was horrible. in addition they charged us $20 BZE for 3 bottles of water. I will not go back. The lady I was telling you about is C&G fast food. 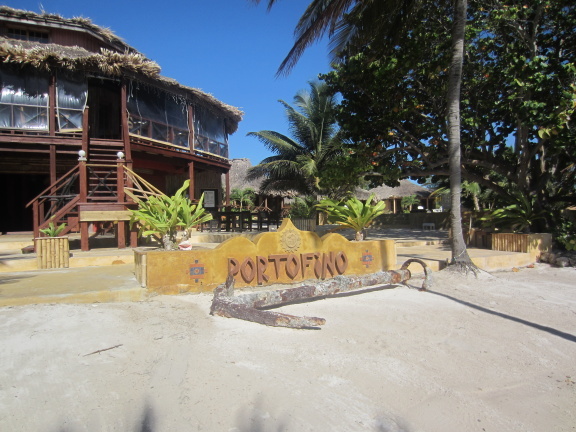 Her restaurant is in the airport area of San Pedro. Near the Office. Her name is Celsa Benguche. She does good fried chicken and Lobster curry when in season. Low prices and good food. Not many tourists go to her place. Her phone is 600-3875. She is a delightful person.